Its real hard to choose a good whey protein that actually works for you and is light on your wallet at the same time. Especially if you are a beginner in muscle building or even a starter in the fitness field. 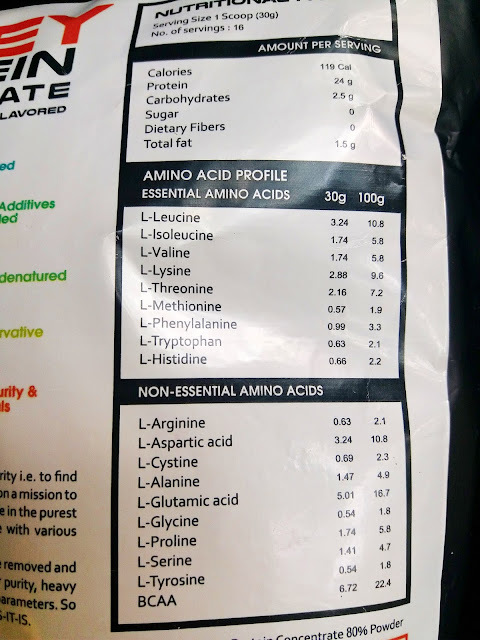 There are so many questions and a lot of problems like the availability, if the product is guaranteed or if the protein supplement is concentrated enough. Now a days everybody wants to invest their money in a good quality of protein for their bodies, and I am going to share one of the latest whey protein concentrates 'AS-IT-IS Nutrition Whey Protein 80% Concentrate', that claims to provide us the best of the ingredients 'from the source' in the purest form !!! Best Purest Form Of Whey Protein || Why is AS-IT-IS Nutrition Whey Protein 80% Concentrate Popular? AS-IT-IS Nutrition Whey Protein 80% Concentrate is one of the most popular whey concentrate preferred by Indians for a lot of things . Firstly I love the fact that it is budget friendly and does not burn a hole in our pockets. A lot of you might question how is it possible for a brand to give you the best of best at such a cheap price? The reason behind the pricing is that they actually provide whey protein in its natural, raw form with no added preservatives, which is a win win thing for whey protein users. It is great for a lot of age groups , I am going to try and make my 6 year old nephew to drink this on a daily basis, it is that good guys. I have heard a lot of age groups use this with no side effects. Its amazing how it works great for all age groups. he next thing for its popularity would be its flexibility of use, you can mix it with your juice, smoothie or even your iced tea! And the last is its availability in three different sizes - 250 gms for beginners, 500gms for starters or intense workouts and 1 kg pack for its regular users . All in all a very impressive product ! AS-IT-IS Nutrition Whey Protein Concentrate 80% is an original and innovative nutrition brand and they test their products for purity. They aim to provide nutrients in its purest form at affordable prices. They are known for their high quality and gluten free products. They claim to follow the limited processing of nutrients process that is sure to ensure we get maximum protein and nutrients as preserved in their original form. ASITIS Nutrition Whey Protein Powder thus brings the most purest form of nutrients without any filters or preservatives at an affordable price. Lets dig into the detailed review of this product. 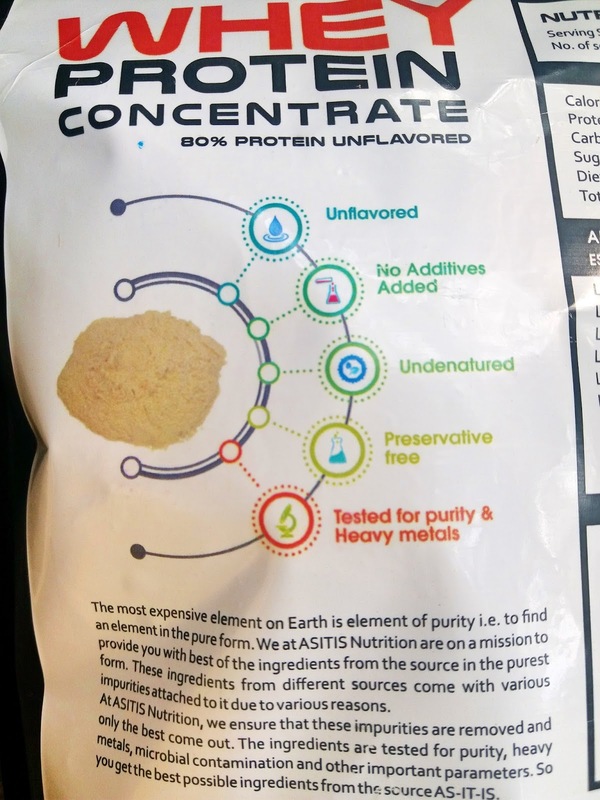 Here’s my review of the AS-IT-IS Nutrition Whey Protein Concentrate 80% Concentrate. I have seen my younger brother spend a fortune on protein supplement powders as he workouts at the gym regularly. We wold oppose all his spending so much money on muscle building supplements as he was just a beginner at that time. I am really impressed by ASITIS for actually coming out with a Whey protein 80% concentrate that is ideal for those who are starting the muscle building process. I would definitely recommend the smaller size pack to all beginners for it wont cost you a fraction and you will know if it works for you in the way you want it to work. Love the fact that they have provided high quality product for an affordable price. 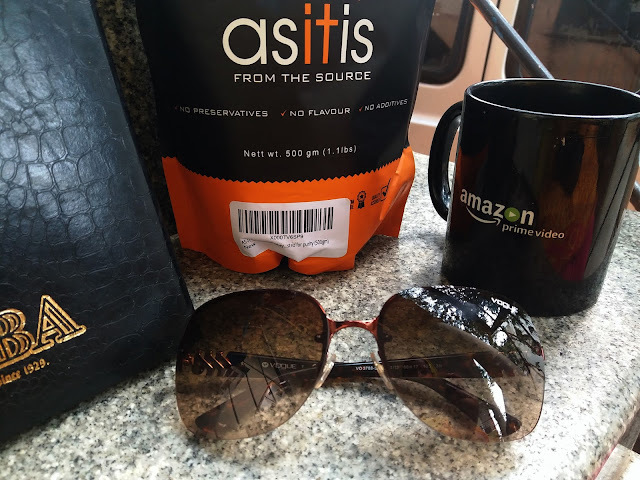 ASITIS Nutrition Whey Protein Powder is a flexible powder for not just those who plan on muscle building but also as an energy packed protein drink for busy moms who don't have a lot of time on their hands to make a healthy meal at times . It can also be used by business professionals mixed with their refreshments in between flights or whenever they feel like they need a protein shake. Another plus point about ASITIS Whey protein 80 is that its undenatured and has the biological value (BV) of any known protein. Whey protein 80 is made from the whey protein concentrate with over 80 per cent protein content. It is tested for purity ,microbial contamination, heavy metals and other parameters. All of these ensure we get best of best ingredients directly from the source AS-IT-IS ! AS-IT-IS Nutrition Whey Protein 80% Concentrate Powder is one of the easiest protein powders to use for its is unflavored and can be mixed with your favorite juice or even your favorite beverage! As I wrote earlier about its flexibility of use , it is designed in such a way that it mixes with everything. You don't need to use a blender to mix this, a spoon will do. If you are one of those who don't like to drink a lot of juices then you can add it to your pan cakes and protein bars, it mixes and isn't chunky or gritty at all. Or you can also take this with water. Add 1 scoop (30gm) of powder to 240ml of water for best results. 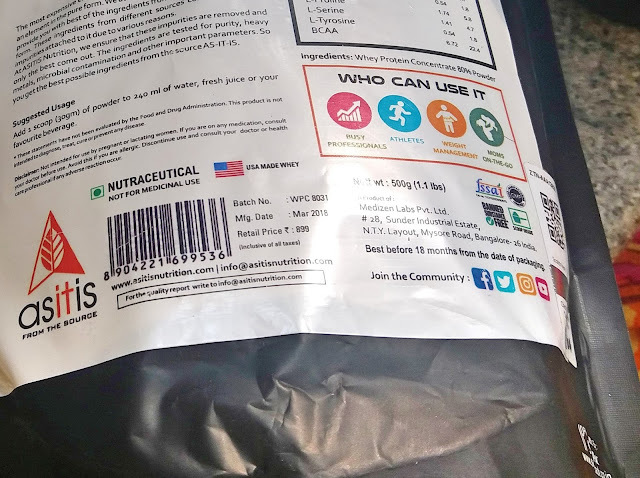 AS-IT-IS Nutrition Whey Protein 80% Concentrate Powder is actually in an unsweetened and unflavoured form, their protein supplement gives fitness aficionados the flexibility to use it in many ways. Ideally we are supposed to have 5-6 meals during the day to provide our body with the right level of nutrients but for people who are busy or don't have much time on their hands this powder is the easiest way to get some nutrients is in the form of a protein supplement . ASITIS Nutrition Whey Protein is not only good for moms on the go but great for athletes and those in weight management. One of the best uses of ASITIS Nutrition Whey Protein is that it helps in gaining lean muscles. A boon for all those who love intense workouts as it boosts recovery and reduces the percentage of muscle loss. 80% concentrate ensures each serving of 30g contains 24g of protein and 6.7 BCAA, all in all very effective for muscle gain. The fact that is unsweetened and unflavored makes it flexibility to use and can be taken with your milk, smoothie, shake, green tea, yogurt juice or even your iced tea ! It blends and mixes without effort and does not foam! ASITIS Nutrition Whey Protein is of high Quality Whey Protein Concentrate, which is Non-GMO and Gluten Free. It is said to be manufactured in the U.S, and has been lab tested to guarantee purity of Whey Protein Concentrate. It comes in a bag just the right size with a seal at the top. Its easy to store and the seal is very durable and capable of holding the powder for a long period of time. The best part is that you get a scoop in each bag , this is a great thing as it saves time and helps to mix the right amount every time you use it. That’s super affordable and much cheaper than average. The smaller pack is great for beginners ! 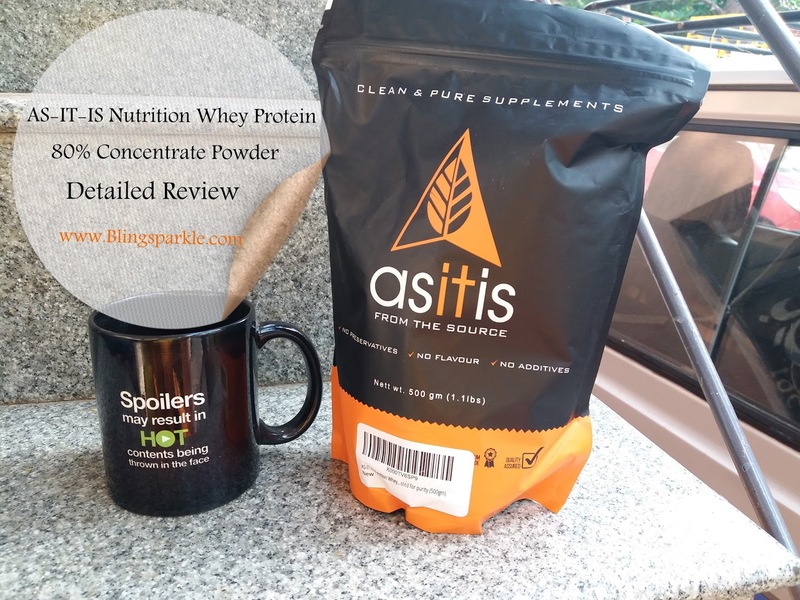 The bottom line is that ASITIS Nutrition Whey Protein 80% Concentrate Powder is as good as it claims to be, offers good value for money, gives an amazing flexibility of use and I am happy to recommend it.